“Write this letter to the angel of the church at Sardis. This is the message from the one who has the sevenfold Spirit of God and the seven stars: ‘I know all the things you do, and that you have a reputation for being alive, but you are dead. Wake up! Strengthen what little remains, for even what is left is at the point of death…” Revelation 3:1-2. Welcome to Sardis Community Church. Grab a bulletin and you will find plenty of activities. Walk the hallways and you will find plenty of space and even a comfortable sanctuary. The folks are nice and they really love their church. They will tell you about their great church if you ask. They will speak of how God has used the church over the years and how they love to gather together in warm fellowship. The bills are paid, the preacher is a great man with good messages, the choir is constantly preparing for the next big musical and the church calendar is filled with annual traditions that the people love to be involved in. On the surface, it is a good friendly stable church. In Revelation, the church at Sardis had a reputation of a good church. The perception was that the church was alive and well. I imagine that the members of that church thought “we have a good church”. Their own perception of their church was positive, but Jesus believed differently. The church thought they were alive, their reputation in the community was good, but the only opinion that mattered was Christ and he gave them a failing grade. It has been my experience that some churches see themselves in the same way, alive and bustling with activities. Yet our perceptions of the church can be more utopian in nature rather than actual. One of the most difficult questions we will ever ask about our church is, “What does God think of your church?” Sardis in particular had issues with immorality and possibly doctrinal errors. For most churches in decline or even “dying” their issues aren’t immoral or doctrinal it is mostly contentment, apathy and lethargy. What kind of kingdom impact is your church having on this world? Unfortunately there are many churches who could simply take the name “Sardis” out of this passage and replace it with their own. Your church could be in trouble and you don’t even realize it. Here are some warning signs that you might be or are becoming a modern day Sardis Church. Members speak of what “used to be”. I recently visited a church who has been on a sharp decline for years. When I spoke to the church members most of our conversations were retrospective in nature. With great fondness they spoke of the big Easter musicals that USED to take place and how full the nursery USED to be. One deacon spoke of how he USED to put chairs out because the pews were full. This scenario is common. If your church looks back more than it looks ahead that is a strong warning sign that your future is in doubt. In most declining churches the phrase, “I remember when” is often repeated. There is nothing wrong with looking back and memories are certainly to be treasured, but to live in the past is to forfeit your future. Think less about what God has done in your church and more about what he is doing and will do. Shrinking Pastoral Tenures. Several years ago one study found a startling relationship between the length of time pastors had been in their churches, and the growth or decline of those churches. Their finding? Approximately 3/4 of their growing churches were being led by pastors who had been in their church more than four years, while 2/3 of their declining churches were being led by pastors who had been in their church less than four years. The conclusion of that study was Long-term pastorates do not guarantee that a church will grow. But short-term pastorates essentially guarantee that a church will not grow. According to Thom Rainer the average pastoral tenure in the SBC is 3.6 years which is under the time needed to see sustained growth in the church. 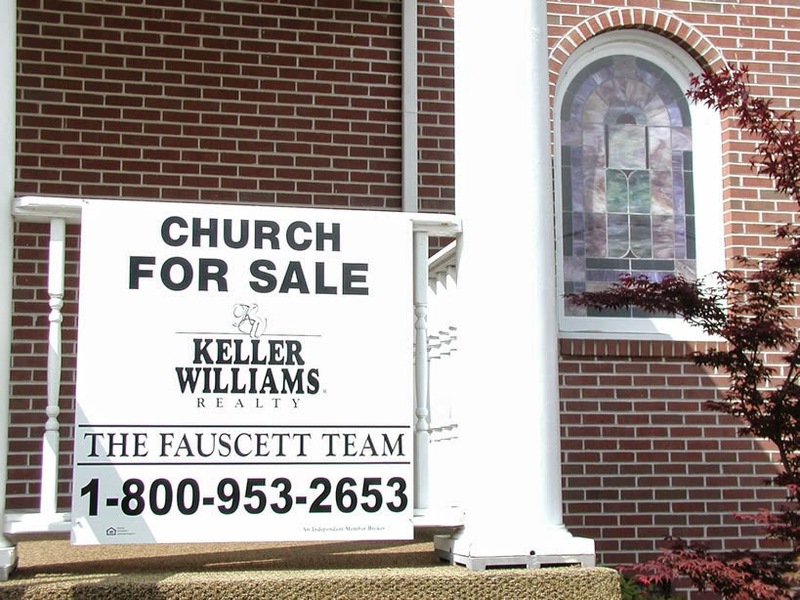 Many declining churches are “pastor eaters”. Usually it works this way: The new pastor arrives with new ideas and a heart full of anticipation. Within his first year of service he pitches his ideas to key leaders and deacons only to have those ideas squashed. He mostly hears, “that won’t work here” and “we have never done with that way before”. After time, he comes to realize that his leadership will be limited due to content church members. He tries, he prays, he preaches harder, he even gains a few new members but on most Monday mornings he is discouraged due to the lack of receptivity of his ideas. He begins to put his resume together and seek out another opportunity hoping that the next church will be more open to his optimism. If the pastoral tenure in your church is shrinking it is likely a warning sign. The church is disconnected from its community. In almost every church that I consult with the story is the same. Older church in transitioning community that over time has become disconnected from their mission field. Every church ought to be representative of their community. In studying the 10 mile demographics of one particular church I found a racial breakdown of 60% black and 38% white with a few other ethnic groups mixed in. However the congregation is 99% white in membership. This points to a church that over time has stopped reaching its community. If the church is effectively ministering to its community the congregation will be representative of the surrounding demographics. Loss of Missional Focus. Give your church the bulletin test. What does your weekly bulletin reveal about the missional focus of your church? Announcements about the ladies sewing group, choir practice, brotherhood breakfast, Wednesday night suppers and the next senior adult trip are often seen in church bulletins. Nothing wrong with any of these activities, but if all of the activities in the bulletin are geared toward keeping church members busy something is wrong. The way many churches plan out their church year it becomes obvious that the members are the center of their missional focus. Churches should plan activities that engage the membership in reaching the lost. Is your church activities more focused on keeping the membership happy or mobilizing them to be world changers? The majority of the activities of the church ought to have a missions component. What does your budget say about your missional focus? If less than 10% of the budget is being used toward great commission ministry, your church has likely lost its missional focus. Change is seen as unwelcomed. Looking back at my pastorate if I would have not made the changes that were made, the church would never have grown. The changes that were made were transformational to the culture of the church. But without exception, every major change made was met with objections and sometimes anger. Some members went to other churches, others stayed but stopped speaking to me. However, I was determined that God was giving me clear direction. What if I would have listened to the naysayers? What if I would have taken their advice? I shudder to think of the souls that would never have been reached. Jesus spoke of what happens when the new wine is put into old wineskins (Luke 5:37). How many great ideas were spilled because they were forced into old wineskins? The hard truth is that dying or declining churches will not turn around unless major changes take place. So many times I have stepped into the services of declining churches only to feel as though I have gone through some type of time warp. It is 2015 but inside the church it feels like 1964 and we wonder why people aren’t coming to our church. What year is it inside your church? If I just described your church then trouble is looming and decline will continue. Something remarkable must happen if your church is going to turn things around. Don’t be like Sardis Community Church. God is not done with your church, but he may be fed up with its function. This post reminds me of Rainer’s book called Autopsy of a Dead Church. Rainer made some similar observations.